Drafts are important for your future posts. Collect data and information which are related to the posts and keep working on them. 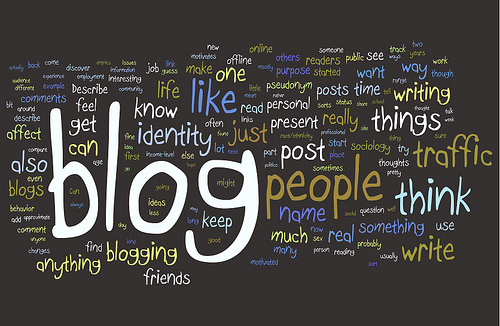 Most blogs fail and lose their audience because they fail to post consistently. Although you don’t have to post daily – is about as infrequent as you should get. Having a bunch of drafts keeps you organized especially when you run out of ideas. This is very common but many people don’t agree on this especially if they are new to blogging. Submitting 5 guest posts to A-list blogs is better than submitting 100 guest posts to smaller blogs. This is one bitter guest-blogging truth that people cannot sometimes understand. A-blogs can lead to many visitors depending on the quality of your post while smaller blogs will only send you a trickle of traffic. The better your guest post, the more traffic you will get. This is one thing people are afraid of when considering guest blogging. When you are a guest posting, you should be prepared for rejections. You don’t need to worry, just deal with it correctly. Face the reality and find out the reasons why your post has been rejected. It can be because of quality, grammar, errors or your style of writing is not in line with the blog. You can also try to get in touch with the blogger and ask him/her politely why your post has been rejected. This can help you improve your future guest posts. A picture in your blog content draws someone’s eye, whether or not they want it to. Search engines favor pictures and videos in blog content. The best videos may be from your own recording. Readers are (usually) intelligent human beings. They know how much effort you have put in just by looking at your blog and reading its contents. If you have read the previous article about effective ways to be an interactive blogger, then you should know how to build relationships with your audience. You may also add most of your regular readers on instant messenger such as Google Talk, Skype or Yahoo. Chat with them and help them when they ask for some advice. Pillar articles are usually a tutorial style article aimed to teach your readers about something. They are great in bringing traffic from search engines if your content is exceptional. This is mainly because so many new readers and other web pages begin linking to your blog. They are usually posts longer than 500 words. Have lots of practical tips and advice. They offer clear value to the reader. They attract links from other bloggers. The content should not be too dated or time sensitive, so it will still be relevant even in 10 month’s time. You can’t be someone’s best friend in one night just like you can’t be in the top 3 in Google over night. SEO is something you should. These are just foundations on which you can start to build and add more value over time. It doesn’t really mean you have to hire an SEO service provider. SEO can be effective when you place your websites in top places but of course you must generate good quality content. If you are not a patient person, then perhaps blogging is not for you.